We knew we’d meet incredible people on our Dairy Journey. What we didn’t expect is that we’d meet someone like Vicky. 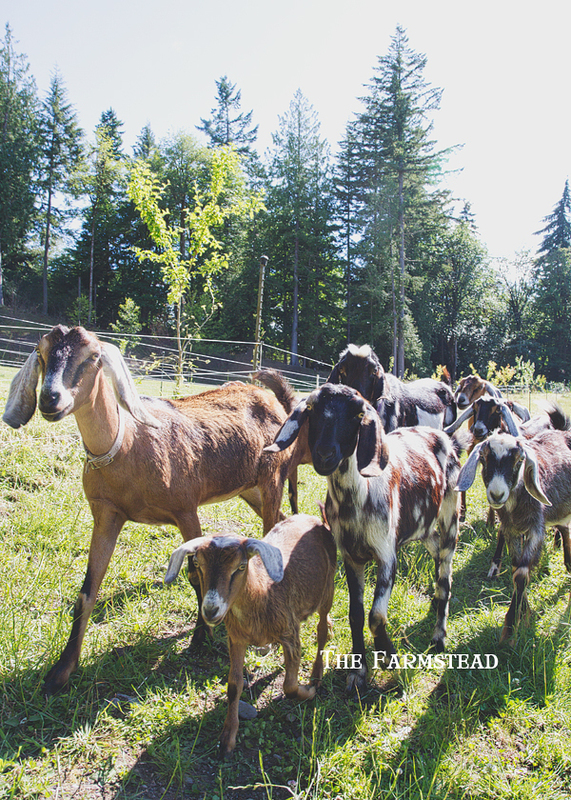 About two months ago I wrote Little Brown Farm, a creamery up on Whidbey Island specializing in goat and cow milk products. In my e-mail I introduced myself and mentioned that, should she ever reduce her herd, we were very interested in continuing her genetics. As luck would have it, not only did she write me back, she had goats to sell! We left that day with plans to come back and pick up 9 new goats. You’re never going to believe this. She invited us back for a full day in her cheese room. When I say us, I mean Gizmo too. Well, kind of. The way Little Brown Farms is set up the Farm Store looks into the creamery, with a two-way intercom. That means Gizmo could take a nap while I learned how to make cheese! You’re really never going to believe this. SHE GAVE ME HER RECIPE! If your mouth didn’t just hit the floor then you don’t understand. And allow me to explain. People do not just give their recipes away. Especially when the recipe is for delicious, creamy, tastes like mozzarella, melts in your mouth, goat cheese. On the condition that I use her trademarked name. NO PROBLEM. I would be honored. No only did Vicky invite us into her make room...she shared a recipe. This is unheard of. I'm still grinning from ear to ear. You see, the cheese business is notoriously close-lipped. In an era when you can find an answer to any question you could dream up just by using google you cannot find answers to the most simple questions about building a dairy. But for some reason the universe brought us to Vicky. We left that day with a notebook full of frantic scribbles, and 10 new goats. We planned for all of that except that last goat. While out in the field sectioning off goats a little creature, baring some resemblance to a goat, slipped through the gate. “How do you get a goat like that?” we asked. "Kind of like peyote,” Nick said. As it turns out, last year Vicky had a bovine respiratory virus sweep through her herd, brought on the farm by a third party (Little Brown Farm does not have cows). 1/3 of the herd fell ill. All of the adults recovered but a large portion of the kids didn’t. One special girl spent the majority of her youth in Vicky’s house. Now, at 14 months old, she’s only marginally bigger than 2-3 month old kids. “Did we just buy a non-miniature, miniature goat?” I asked. Even though I knew the answer. And so, on top of bringing home the most gorgeous polka dotted Nubian buck and 8 Nubian does, all ready to be bred this season, we also brought home Peyote. Yes, that’s what we’re going to call her. That evening, as we were riding across the Puget Sound, goats in the back of our truck, our little family in the front, I felt peace. Vicky took away so many of our unknowns, a consequence of never having set foot inside a working dairy. Her informative and patient teaching style paired with her generosity of knowledge and support is just what we needed. We are invigorated and inspired. The icing on the cake? That same day Gizmo learned how to wave. A real, full blown, this is how I say hi now, wave. And I got it on video! (We’re on the ferry which is why she’s not in her car seat). ps: isn’t her sweater cute? My M ♥M knit it for her out of washable wool.